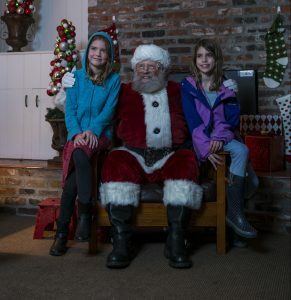 Get your picture with Santa at the Village Green Christmas Market! Santa will be here every night that the Market is open and he can’t wait to hear the wish lists of everyone from little ones to pets. Photos are available at no additional cost, so have your camera ready! The name Krampus originates from the German word, krampen, which means claw. Tradition has it that he’s the son of the Norse god of the underworld, Hel. He tags along with St. Nicholas the night before St. Nicholas Day. December 5th is known as Krampusnacht, or Krampus night. While St. Nicholas rewards children with sweets, Krampus swats “wicked” children and takes them away to his lair.